Abstract: Internet banking is becoming increasingly important to banks in providing convenient banking services to customers. To attract and retain their customers, banks ensure security measures are put in place to protect the customers from various cyber attacks. Despite these security measures, customers are constantly being exposed to fraud and security issues. This paper therefore seeks to understand the reasons behind these security breaches and to develop a model to predict the behaviours of internet banking customers. Drawing on Health Belief Model, this paper employed chi-square and logistic regression analysis to specifically investigate internet banking security issues from human behavioural perspective. The study empirically revealed that there is a direct relationship between internet banking security breaches and customer behaviours. A predictive model was however developed to predict these human behaviours on internet banking platforms. The study concluded that internet banking security breaches are mainly due to human behaviours such as unlocking computers when not in use, installation of softwares from sources that are not trusted and supported, poor password management, and other related behaviours that could be prevented by customers. It was also concluded that there is no relationship between customers’ age group and internet banking security breaches. It is therefore by chance that the younger respondents experience internet banking security issues more than the elderly. This chance could be attributed to the fact that the younger ones do not have valuable cash deposits to protect and hence not cautious in their behaviours on internet banking platforms. The findings of this study have important policy implications for banks, thereby helping to understanding the behaviour of customers on internet banking platforms. It is therefore recommended for banks to educate and organise regular and continuous security awareness programmes for their customers. Keywords: Internet Banking, Behaviours, Security. 1. Jain and S. Kalyanam, “Using Insurance to Mitigate Cybercrime Risk: Challenges and recommendations for insurers.” 2012. 2. Ivan, C. Ciurea, M. Doinea, and A. Avramiea, “Collaborative Management of Risks and Complexity in Banking Systems,” Inform. Econ., vol. 16, no. 2, pp. 128–141, 2012. 3. United Nations Office on Drugs and Crime, The globalization of crime [electronic resource] a transnational organized crime threat assessment. Vienna: United Nations Office on Drugs and Crime, 2010. 4. The National White Collar Crime Center, Internet Crime Report. United States of America: Internet Crime Complaint Centre, 2010. 5. Bank of Ghana, “Licensed Banks, Representative Offices & their Registered Offices in Ghana - December 2015.” Bank of Ghana, 2015. 7. M. Mukhtar, “Perceptions of UK Based Customers toward Internet Banking in the United Kingdom,” J. Internet Bank. Commer., vol. 20, no. 1, 2015. 8. P. Malhotra and B. Singh, “An analysis of Internet banking offerings and its determinants in India,” Internet Res., vol. 20, no. 1, pp. 87–106, Feb. 2010. 9. T. Pikkarainen, K. Pikkarainen, H. Karjaluoto, and S. Pahnila, “Consumer acceptance of online banking:An extension of the technology acceptance model,” Internet Res., vol. 14, pp. 224–235, 2004. 10. W. Nasri, “Factors Influencing the Adoption of Internet Banking in Tunisia,” Int. J. Bus. Manag., vol. 6, no. 8, Aug. 2011. 11. K. Kazi and M. A. Mannan, “An empirical study of factors influencing adoption of Internet banking among students of higher education: Evidence from Pakistan,” Int. J. Finance Bank. Stud. ISSN 2147-4486, vol. 2, no. 2, pp. 87–99, 2013. 12. S. Mansumitrchai and C. Chiu, “Adoptation Of Internet Banking In Uae: Factors Underlying Adoption Characteristics,” Int. J. Manag. Mark. Res., vol. 5, no. 1, pp. 103–115, 2012. 13. B.-Y. Ng, A. Kankanhalli, and Y. C. Xu, “Studying users’ computer security behavior: A health belief perspective,” Decis. Support Syst., vol. 46, no. 4, pp. 815–825, 2009. 14. Bulgurcu, H. Cavusoglu, and I. Benbasat, “Information security policy compliance: an empirical study of rationality-based beliefs and information security awareness,” MIS Q., vol. 34, no. 3, pp. 523–548, 2010. 15. M. Chan, I. Woon, and A. Kankanhalli, “Perceptions of information security in the workplace: linking information security climate to compliant behavior,” J. Inf. Priv. Secur., vol. 1, no. 3, pp. 18–41, 2005. 16. Y. Li and M. T. Siponen, “A Call For Research On Home Users’ Information Security Behaviour.,” in PACIS, 2011, p. 112. 17. M. Rosenstock, V. J. Strecher, and M. H. Becker, “Social learning theory and the health belief model,” Health Educ. Behav., vol. 15, no. 2, pp. 175–183, 1988. 18. Strecher, J. Victor, and I. M. Rosenstock, “The health belief model,” Camb. Handb. Psychol. Med., pp. 113–117, 1997. 19. Comptroller of the Currency Administrator of National Banks, Internet Banking Comptroller’s Handbook. 1999. 20. S. Malempati and S. Mogalla, “User Authentication using Native Language Passwords,” Int. J. Netw. Secur. Its Appl., vol. 3, no. 6, pp. 149–160, Nov. 2011. 21. E. Grau, “Using factor analysis and Cronbach’salpha to ascertai n relationships between questions of a dietary behavior questionnaire,” in Proceedings of the Survey Research Methods Section, ASA, 2007. 22. A. Gliem and R. R. Gliem, “Calculating, interpreting, and reporting Cronbach’s alpha reliability coefficient for Likert-type scales,” 2003. 23. S. Eurobarometer, “Cyber Security,” Belg. TNS Opin. Soc., 2015. 24. K. Maduku, “Predicting retail banking customers’ attitude towards Internet banking services in South Africa,” South. Afr. Bus. Rev., vol. 17, no. 3, pp. 76–100, 2014. 25. J. Chin, S. A. W. S. K. Wafa, and A.-Y. Ooi, “The effect of internet trust and social influence towards willingness to purchase online in Labuan, Malaysia,” Int. Bus. Res., vol. 2, no. 2, p. p72, 2009. 26. R. K. Jassal and R. K. Sehgal, “Online Banking Security Flaws: A Study,” Int. J. Adv. Res. Comput. Sci. Softw. Eng., vol. 3, no. 8, pp. 1016–1021, 2013. 27. B. Ho and W. Lin, “Measuring the service quality of internet banking: scale development and validation,” Eur. Bus. Rev., vol. 22, no. 1, pp. 5–24, Jan. 2010. 28. G. D. Williamson and G. E. Money–America’s, “Enhanced authentication in online banking,” J. Econ. Crime Manag., vol. 4, no. 2, pp. 1–42, 2006. Abstract: The paper concerns the design of a new methodology for diagnosis by Luneberger Observer using the Bond Graph. The observer design provides a state estimated from the model and inputs and outputs measurements. Furthermore, we have exploited the architectural of the Bond Graph to generate the diagnostic condition based on Luenberger observers. Furthermore, the performance of the proposed diagnosis system is studied by these residuals to the certainties and faults. The research results have been applied to an industrial process RODS (Reverse Osmosis Desalination System) of Research and Technology Center of Energy Borj Cedria. In this context, the proposed method was operated from the modeling step to the diagnosis system step. 1. Basseville. M. Basseville, Benveniste, G et Moustakides. G. « Detection and diagnosis of changes in the eigen structure of non stationary multivariable systems». Automatica, 23 : 479-489, 1987. 2. Anguilar-Martin. J. « Know ledge- based supervision and diagnosis of complex process ». IEEE Internationnal sympossium on intelligent control systems and semiotic (ISI 199), cambridge, USA, pp. 255-230, septembre 1999. 3. Cassar. J. P, Litwak. R. Coquempot. V. et Staroswiecki. M. « Approche structurelle de la conception de systèmes de surveillance pour les procédés industrielscomplexes». JESA, RAIRO-APII, 31(9):179-202, 1994. 4. Graisyhm. A. « Méthodologie de conception des systèmes de supervision». Rapport Région Nord Pas de Calais, Mai, Valenciennes, France, 1998. 5. Ploix. S. « Diagnostic des systèmes incertains: Approche Bornante». Thèse de Doctorat, Université Henri Poincaré, CRAN, 1998. 7. Adrot. O. « Diagnostic à base de modèles incertains utilisant l’analyse par intervalles l’approche abornant ». Thèse de doctorat de l’Institut National Polytechnique de Lorraine, 2001. 8. Luenberger, D. «Observers for multivariable systems”. IEEE Transactions on Automatic Control, Vol. 11, pp. 190-197. (1966). 9. Guerra. R. M, Luviano-Juárez. A and. Rincón-Pasaye. J. J. « Fault estimation using algebraic observers». Proceedings of the 2007 American Control Conference. New York City, USA, July 11-13, 2007. 10. Khedher. A, Othman. K. B, Benrejeb. M and Maquin. D. « Adaptive observer for fault estimation in nonlinear systems described by a Takagi-Sugeno model». 18th Mediterrranean Conference on Control and Automation. Marrakech, Morocco, 23-25th, 2010. 11. Paynter. H. M. « Analysis and design of engineering systems». M.I.T.Press, 1961. 12. Karnopp. D.C, Rosenberg. R. C. « Systems Dynamics: a Unified Approach». MacGraw Hill, 1983. 13. Dauphin-Tanguy. G. « Les bond graphs». HERMES Science Publications Paris. ISBN 2-7462-0158-5, 2000. 14. Ould Bouamama. B. Dauphin-Tanguy. G. « Modelisation Bond Graph Element de base pour l’energetique». Technique de l’ingenieur, BE 8 280, 2005. 15. Tagina. M. « Application de la modélisation bond graph à la surveillance des systèmes complexes». Thèse de Doctorat, Université de Lille, France, 1995. 16. Azmani. A, Dauphin-Tanguy. G. « ARCHER: a program for computer aided modelling and analysis». Bond graph for Engineers. Ed. G. Dauphin-Tanguy and P.
Breedveld, Elsevier Science Pub, pp. 263-278, 1992. 17. Karnopp, D. « Bond Graphs in Control: Physical State Variables and Observers». Journal of The Franklin Institute, Vol. 308, No. 3, pp. 221-234. (1979). 18. Costello D. J. et P. Gawthrop. « Physical model – based control: Experiments with a stirred-tank heater». Technical Report CSC-95003, Glasgow University Centre for Systems and Control (1995). 19. Gawthrop, P. J. et Smith, L. P. S. «Metamodelling: Bond Graphs and dynamic Systems». Prentice Hall. (1995)  Roberts, D. W., D. J. Ballance et P. J. Gawthrop, “Design and Implementation of a Bond Graph Observer for Robot Control”. Technical Report CSC-95004, Glasgow University Centre for Systems and Control (1995). 20. Rahmani.. A, Sueur. C, Dauphin-Tanguy, G. « Pole assignment for systems modelled by bond graph». Journal of the Franklin Institute 331 (3) 299–312. 1994. 21. Maquin. D et Ragot. J. « Diagnostic Des Systèmes Linéaires». Hermes, Paris, France, hermes edition, 2000. Sueur. C, Dauphin-Tanguy. G. « Structural Controllability and Observability of linear Systems Represented by Bond Graphs». Journal of Franklin Institute. Vol. 326. pp. 869-883, 1989. 22. Sueur. C. « Contribution à la modélisation et à l’analyse des systèmes dynamiques par une approche bond graph. Application aux systèmes poly-articulés plans à segments flexibles». Thèse de doctorat, Université de Lille I, France, 1990. 23. Pichardo-Almarza. C, Rahmani, Dauphin-Tanguy. G,Delgado. « Observateur Proportionnel-Intégral pour des Systèmes Linéaires Modélisés par Bond Graphs». in : Actes des Journées Doctorales d’Automatique. 2003. 24. Pichardo-Almarza, C., A. Rahmani, G. Dauphin-Tanguy, et M. Delgado. «Bond Graph Approach to Build Reduced Order Observers in Linear Time Invariant Systems». Proceedings of 4th MATHMOD, Fourth International Symposium on Mathematical Modelling. (2003a). 29. C. Pichardo-Almarza, A. Rahmani, G. Dauphin-Tanguy and M. Delgado. «Using the Bicausality Concept to Build Reduced Order Observers in Linear Time Invariant Systems Modelled by Bond Graphs». ECC’2003, European Control Conference. (2003). Abstract: In rural areas and old age homes, the unhealthy persons need a constant monitoring of their body. In the present work the physiological parameters such as Heart beat, Body temperature, ECG, Smoke detection and brain tumor detection are obtained, processed and displayed in an android application. Monitoring and control of all the specified parameters are done using particular sensor for each parameter. These sensors are not harmful to human body as they are sensitive to infrared rays. If anyone of the vital parameter goes out of normal range then an alert message is generated and sent by the system via GSM/GPRS module to the authorized mobile numbers. Thus, it reduces the doctor’s work and also gives reliable results. Whenever there is an abnormality felt by the patient, the system will give an alarm signal, by which the patient can rush to the nearest hospital. Thus an expert-based health care can be provided at crucial circumstances. The accessibility of this android application is simple and easy. By using this application, we can say that, it is cost effective and user friendly. This system can detect the abnormal conditions, issue an alarm to the patient and send a SMS to the physician and or to the family members. Keywords: Smart phone, Android application, GSM module, Wi-Fi module, ECG monitoring, Body Temperature, Heart rate, Brain tumor, Smoke detector. 1. K. Takizawa, Huan-Bang, L. kiyoshi, H. kohno, “wireless vital sign monitoring using ultra wide band based personal area networks,” in proc. Of the international conference of the IEEE engineering medicine in biology society, pp.1798-1801, August 2007. 5. Sagahyroon,H. Raddy,A. Ghazy,and U. Suleman,”design and implementation of a health care monitoring system,” in international of electronic healthcare, vol5, No.1, pp 68-86, 2009. 6. S. Sneha and U. Varshney,”A wireless ECG monitoring system for pervasive healthcare,” in international journal of healthcare, vol3, No.1, pp 32-50, 2007. 7. H. Lee, S. Lee, K. Ha, H.Janj, W. Chung, J. Kim, Y. Chang, and D. Hoo,”Ubiquitous healthcare service using Zig-Bee and mobile for elderly patients,” in international journal of medical informatics, vol78, No.3, pp 193-198, March 2009. 8. Shandi, R., Noroozi, S., Roushanbakhti, G., Heaslip, V. & Liu, Y. “Wireless technology in the evolution of patient monitoring on general hospital wards”. Journal of medical engineering and technology, vol34, No.1, pp 51-63, 2010. Abstract: Use of adulterated fuels has been escalating over the years due to lack of appropriate analytical tools for rapid detection resulting in detrimental effects to motor engines, environment and to the economy. Kerosene is a widespread adulterant added to gasoline and diesel. It is extensively used because of its financial gains and ease of blending. In this study attempt has been made to develop a combination analytical tool for rapid detection of kerosene adulteration by evaluating samples of gasoline and diesel; determining the adulteration intensity; compare detection limits of Fourier Transform Infrared (FTIR) and Fluorescent Indicator Adsorption (FIA); then evaluate detection aptitude of the methods. Ssuspected adulterated gasoline and diesel were collected systematically in sevenselected locations within Eldoret, Kenya. References were traced from Eldoret pipeline depot up to the shipper’s dispensing station. Arrays of six blend mixtures of kerosene with either gasoline or diesel were prepared as custom proportions for comparison as adulteration contour. Density tests, fractional distillation, FIA and FTIR spectroscopy were carried out for characterization. Results showed appreciable density variation at different levels with the lowest density of 0.7373 and 0.8199 Kg/l obtained for gasoline and diesel respectively compared to 0.7374 and 0.8345 Kg/l for the standards which implied an element of adulteration. Fractional distillation provided appropriate indicator for adulteration as evident from the samples distillation end points of 234.0oC being a rise by 20.0oC for gasoline while 382.0oC for diesel being a fall of 4.0oC. FTIR provided preliminary qualitative data by peaks in the region 2950 – 3200cm-1 which varied in intensity with adulteration. FIA showed exhaustive results qualitatively as it was able to classify samples as olefins, saturates and aromatics. The study therefore fronts Density tests, Fractional distillation, and FTIR and FIA techniques for rapid determination of adulterant kerosene. Keywords: Density, Distillation, FIA, FTIR, Kerosene. 2. Al-Ghouti M.A. and Al-Degs, Y.S. (2008).Determination of motor gasoline adulteration using FTIR spectroscopy and multivariate calibration. Retrieved 20.July,2015.http://www. researchgate.net/publication/23227467. 4. Speight, J.G. (2015).The Chemistry and Technology of Petroleum.Chemical Analysis;A series of monographs on Analytical chemistry and its application, 2rdEdn, 105-135. 5. Heinrich H. and Duee D. (2000). Modern Petroleum Technology. Downstream New York, (John Wiley & Sons), 2,10. 6. Klimisch J., Andreae M. and Tillman, U. (1997).A systematic approach for evaluating the quality of experimental toxicological and ecotoxicologicaldata. Journal of regulatory toxicology and pharmacology: 1-5. 7. Cedre J. (2006). Classification and main characteristics of heavy fuel oils,Very heavy fuel oil workshop, 29-30 November, Brest-France. 8. Nyambura E.M. (2010). Assessment of Gasoline Adulteration in Nairobi, Kenya. Fuel Quality Test Parameters, Centre for Environment, Energy Research and Studies. 10. Muralikrishna M.V., Kishor R.C. and Venkata R. (2006). Studies on exhaust emission of catalytic coated spark ignition engine with adulterated gasoline, Journal of Environment science Engineering, 48, 97-102. 11. Ale B.B. (2003). Fuel adulteration and tailpipe emissions. Journal of the Institute of Engineering, 3, 12 – 16. 12. More B.P., Malve M.K., Toche R.B., andShinde D.B. (2012) Analysis of Adulterant kerosene in Diesel by Kinematic Viscosity Measurement. 13. Sukesh N.S. andShivgotra V.K. (2011). Environmental monitoring of adulterated gasoline with kerosene and their assessment at exhaust. 14. Pasadakis N., and Kardamakis, A.A. (2006). Analytical Chemistry. Acta. 578, 250. 16. Energy Regulatory Commission Act. (2006). Petroleum outlets found offering for sale adulterated products in the month of October, November and December 2013 and January 2014.Daily nation,21, (2014,February 27). 17. Yadav S.R., Murthy K.V., Mishra D and Baral B. (2005). Estimation of petrol and diesel adulteration with kerosene and assessment of usefulness of selected automobile fuel quality test parameters.International Journal of Environmental science and Technology 1,4, 253-255. 18. Jan B. and Hans T.F. (2003). A comparison of ten different methods for the analysis of Saturates, olefins, benzene, Total Aromatics, and Oxygenates in Finished Gasoline. 20. American Society for Testing and Materials D 86, EAS. (2012). Standard test method for distillation of petroleum products at atmospheric pressure. 21. Oil and Gas Producers-OGP. (2012).Catalogue of international standards used in the petroleum and natural gas industries. Retrieved 08 June, 2015.www.iogp.Org/international standards. 22. Sharma& Gupta. (2007). A new method for estimation of automobile fuel adulteration. B9. Retrieved 24 July, 2015.http://www.intechopen.Com/books/air-pollution. 23. Kang.I., Bae. J. and Bea.G. (2006).Power source. pg. 538. (Winter.1984-1994). 27. Chevron products company (1998). Motor Gasoline Fuels, Technical Review, Chevron Products Company.Division of chevron U.S.A. Inc.
28. Santamaria, Mondragon, Molina, Marsh, Eddings and Sarofin. (2006). Combustion and flame.146 .52-62. 30. Patra, D. & Mishra, A.K. (2001a). Excitation emission matrix spectral subtraction fluorescence to check adulteration of petrol by kerosene. Applied Spectroscopy 55(3): 338 − 342. 31. Patra, D. & Mishra, A.K. (2001b). Concentration dependent red shift: qualitative and quantitative .Investigation of motor oils by synchronous fluorescence scan.Talanta 53: 783 − 790. 32. Ale, B.B., (2002). Fuel adulteration and tailpipe emissions. 33. Patra, D. and Mishra A.K. (2000). Effect of sample geometry on synchronous fluorimetric analysis of petrol, diesel, kerosene and their mixtures at higher Concentration. Analyst 125: 1383 – 1386. DOI: Retrieved 20 July, 2015 http://dx.doi.org/10.1039/b003876h. Keywords: frame; group of picture; frame rate; video formate; video type; pixal; aspect ratio, digital and analog video, video resoluation. 1. Dolley Shukla, Chandra shekhar Mithlesh and Manisha Sharma “Classification for video summarization Techniques,” IEEE Sponsored International Conference Shaastrath 2015. 2. Dolley Shukla, Chandra shekhar Mithlesh and Manisha Sharma “A survey on different video scene change detection techniques," International Journal of Science and Research (IJSR), Volume-4, Issue-4,april 2015. 3. Dolley Shukla, Manisha Sharma and Chandra shekhar Mithlesh "Scene Change Detection using Block Processing Method," The Journal of Applied Sciences Research(TJASR), volume 2, No.2, pp. 103-110, 13 July 2015. 5. Tianming Liu, Hong-Jiang Zhang, And Feihu Qi, "A Novel Video Key-Frame-Extraction Algorithm Based On Perceived Motion Energy Model" IEEE ,Transactions On Circuits And Systems For Video Technology, Vol. 13, No. 10, October 2003. 6. Chitra A. Dhawale and Sanjeev Jain, "A Novel Approach Towards Key frame Selection for Video Summarization" Asian Journal of Information Technology, Medwell Journals, Vol. 7, Issue 4, PP. 133-137, 2008 . 7. Ganesh. I. Rathod And ,Dipali. A. Nikam, "An Algorithm For Shot Boundary Detection And Key Frame Extraction Using Histogram Difference" International, Journal Of Emerging Technology And Advanced Engineering, Vol. 3, Issue 8, August 2013. 8. Guozhu Liu, And Junming Zhao," Key Frame Extraction From MPEG Video Stream" Proceedings Of The Second Symposium International Computer Science And Computational Technology (ISCSCT ’09) Huangshan, P. R. Chin , PP. 007-011, 26-28,Dec. 2009. 9. Sudhir S. Kanade And Pradeep M. Patil, "Dominant Audio Energy Based Key Frame Extraction For Sports Video Summarization" International Conference On Advancements In Electronics And Power Engineering (ICAEPE'2011) Bangkok PP. 75-77, Dec., 2011. 10. Naveed Ejaz And Sung Wook Baik, "Weighting Low Level Frame Difference Features For Key Frame Extraction Using Fuzzy Comprehensive Evaluation And Indirect Feedback Relevance Mechanism" International Journal Of The Physical Sciences Vol. 6, issue 14, PP. 3377–3388, 18 July, 2011. 11. Satishkumar L Varma and Sanjay N Talbar, "Dynamic Threshold in Clip Analysis and Retrieval" International Journal of Image Processing (IJIP),Vol.5,Issue4,2011. 12. Sudhir S. Kanade And P. M. Patil , " Dominant Color Based Extraction Of Key Frames For Sports Video Summarization" International Journal Of Advances In Engineering & Technology, Vol. 6, Issue 1, Pp. 504-512 Mar. 2013. 13. ]Khin Thandar Tint, and Dr. Kyi Soe, " Key Frame Extraction for Video Summarization Using DWT Wavelet Statistics" International Journal of Advanced Research in Computer Engineering & Technology (IJARCET) Volume 2, No 5, pp 1829 -1833, May 2013. 14. Sowmya R , Dr.Rajashree Shettar, "Analysis And Verification Of Video Summarization Using Shot Boundary Detection" American International Journal Of Research In Science, Technology, Engineering & Mathematics, vol. 3, issue 1, Pp. 82-86, June-August, 2013. 15. 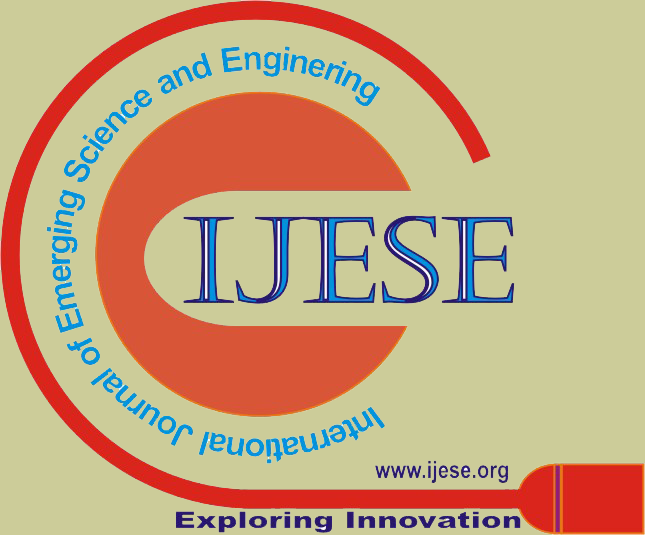 Miss.A.V.Kumthekar, Prof.Mrs.J.K.Patil, "Key frame extraction using color histogram method " International Journal of Scientific Research Engineering & Technology (IJSRET), Volume 2 Issue 4 pp 207-214 July 2013. 16. [ Irfan Mehmood, Muhammad Sajjad, Sung Wook Baik,, "Visual Attention Based Extraction Of Semantic Keyframes" Advances In Information Science And Applications, Vol No 1, Pp181-86, 2014. 17. T. Judes Divya and A. Rama, "Video Key Frame Extraction for Recognising Hand Drawn Human Face" Middle-East Journal of Scientific Research vol. 20, issue 4, pp 537-541, 2014. 18. Mrs.Poonam S. Jadhav, Prof. Dipti S. Jadha, "Video Summarization Using Higher Order Color Moments "International Conference On Advanced Computing Technologies And Applications (ICACTA-2015) Published By Elsevier B.V, Procedia Computer Science , vol. 45, pp. 275 – 281, 2015. 19. J. Kavitha, Dr. P. Arockia Jansi Rani, "Design Of A Video Summarization Scheme In The Wavelet Domain Using Statistical Feature Extraction", I.J. Image, Graphics And Signal Processing, MECS, Vol. 4, pp. 60-67, Year 2015. Abstract: The researchers considered the disadvantage of using a Cyber gloves sensor that was always needed a calibration for mimicking a robotic hand. It is simply because human hand dimensions are not standard. For every person that would use the glove to operate a teleportation, there would be a different hand configuration to be able to perform the various tasks. Individual calibration is needed because each human hand has his personal calibration. Therefore, the researchers use Leap Motion sensor with the aid of a professional, high-precision, and fast motion tracking system which is designed to be placed on a physical desktop, facing upward to track human hands and fingers and then the researchers employed vector dot product method for the algorithm in order to acquire data in controlling a robotic hand to mimic the movements of the human hand for different users. 1. Naik, S. (2016). Depth Sensing Camera - A Comparative Study, 1(11), 1585-1590. 3. Sciuto, L.G. (2011). Robotic Hand and Sensorized Glove: A Calibration for Managing Robotic Grasp in Teleoperation. Tesi di laurea Universitỳ di Siena, facoltà di Ingegneria.W.-K. Chen, Linear Networks and Systems (Book style). Belmont, CA: Wadsworth, 1993, pp. 123–135. Abstract: This article describes the development and implementation of a Wireless Sensor Network WSN, in the Botanical Garden Reinaldo Espinosa owned by the National University of Loja. The simulator NS2 (Network Simulator V2 was used for this design, which allows to display the results of tests sending packages and power consumption, letting us analyze the advantages and disadvantages of each topology, thus we determined that the star topology is the best option when transmitting in real-time data provided by the sensor nodes. Through the simulation results we proceeded to implement a prototype WSN, based onXBee Pro S2B wireless communication modules, processing and energy units, and temperature and relative humidity sensor. Finally, weshow the data to the user with a graphical interface that enables real-time monitoring. Keywords: Wireless Sensor Networks, IEEE 802.15.4, NS-2, ZigBee. 1. S. Tanenbaum, Computer Networks, Prentice-Hall, 2003.3 Edición. 2. Redes De Computadoras un enfoque descendente, James F. Kurose 5 Edición. 3. Transmision por radio (7ª ed) Jose Hernando Rabanos; Luis Mendo Tomas; Jose Manuel Riera Salis , editorial universitaria ramon areces, 2013. 4. AKYILDIZ, I. AND VURAN, M., Wireless Sensor Networks (Advanced Texts In Communications And Networking)., 1a ed., New Jersey-EEUU., Ed. Mankrono Print Media., 2010., Pp. 413-502. 7. R. d. Computadoras, «Redes de Computadoras,» Marzo 2004. [En línea]. Available: http://www.uoc.edu/masters/oficiales/img/922.pdf. [Último acceso: 15 Marzo 2015]. 8. «Introduccion a las Redes,» [En línea]. Available: http://inech.weebly.com/uploads/1/2/6/2/12627663/redes.pdf. [Último acceso: 15 marzo 2015]. 9. J. R. Sánchez y H. M. V. Lendechy, «Las Redes Inalambricas,» Universidad Autonoma del Carmen, Septiembre-Octubre 2013. [En línea]. Available: http://www.unacar.mx/contenido/difusion/acalan55pdf/contenido.pdf. [Último acceso: 17 marzo 2015]. 10. J. Garbarino, «Protocolos para redes inalambricas de sensores,» 7 noviembre 2011. [En línea]. Available: http://materias.fi.uba.ar/7500/Garbarino.pdf. [Último acceso: 18 marzo 2015]. 11. S. R. M. Cantillo, «DESARROLLO DE APLICACIONES BASADAS EN WSN,» septiembre 2010. [En línea]. Available: https://riunet.upv.es/bitstream/handle/10251/8592/PFC%20-%20DESARROLLO%20DE%20APLICACIONES%20BASADAS%20EN%20WSN.pdf?sequence=1. [Último acceso: 20 marzo 2015]. 12. M. G. M. J. Moreno, «ZIGBEE,» 23 mayo 2012. [En lína]. Available: http://sx-de-tx.wikispaces.com/ZIGBEE. [Último acceso: abril 2015]. 13. L. R. P. Vasques y I. B. d. A. Coutinho, «ZIGBEE: Tipos de Dispositivos,» 2010. [En línea]. Available: http://www.gta.ufrj.br/grad/10_1/zigbee/dispositivos.html. [Último acceso: Abril 2015]. 14. J. Longares, «Introducción a Zigbee y las redes de sensores inalámbricas,» 7 Abril 2013. [En línea]. Available: http://www.javierlongares.com/arte-en-8-bits/introduccion-a-zigbee-y-las-redes-de-sensores-inalambricas/. [Último acceso: Abril 2015]. 15. E. A. B. Hernandez, «Red ZigBee mediante modulos XBee,» Bucaramanga, 2010.